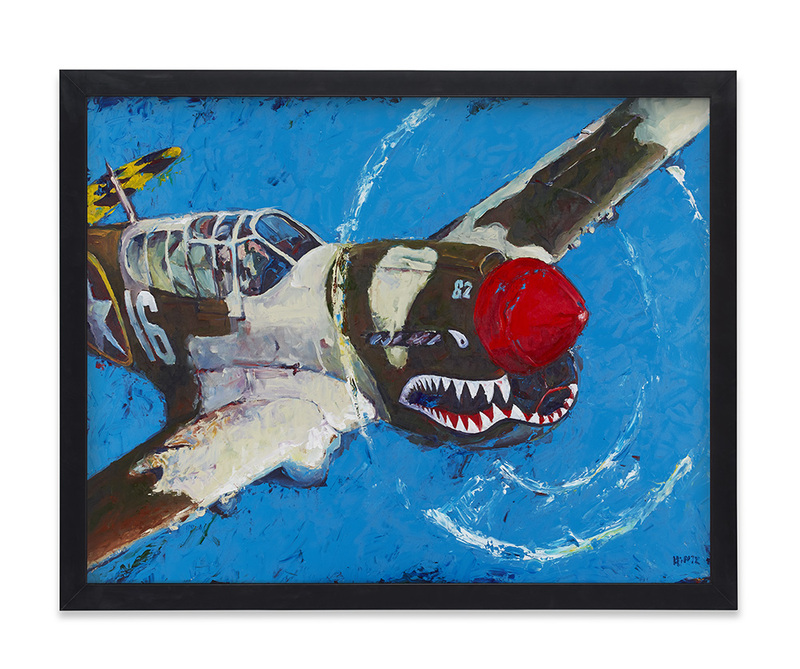 Article from EAA Pressroom: By Katie Holliday-Greenley…..
Milwaukee-based artist Mathew Hintz has been a production artist at Harley-Davidson for 20 years, but recently decided to explore a new subject: airplanes. The idea came when a co-worker mentioned the EAA Aviation Museum. “We actually went two years ago to kind of look at it, and then last year we reached out to EAA, and they invited us up there, gave us a great tour, and we decided to kind of start doing some artwork together,” Mathew said. Mathew submitted several concepts, and EAA chose a P-40 Warhawk, which will be used for a T-shirt, and a painting commemorating the Apollo program, which will be auctioned off at tonight’s Gathering of Eagles. Collaborating with EAA is not entirely new to Mathew, as several years ago he designed pins for the Harley-Davidson Owners Group at EAA AirVenture Oshkosh. In addition to the completed, donated artwork, Mathew hosted a live painting event at AirVenture, which took place Wednesday at the Aviators Club. 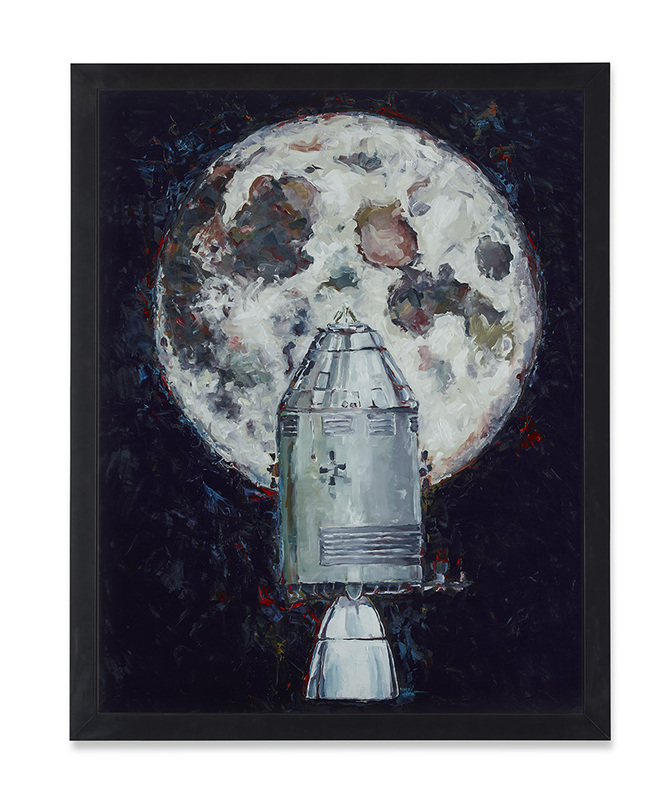 Mathew’s work has an impressionistic style, and he said he primarily paints mechanical or “gas and oil” subjects, but he approaches each painting as if he was about to paint a portrait.